Yuurei had joined the Phantom Raiders, and now he was sure that things would get interesting. He would be doing his own thing, but knew that there were certain things that matter first. He knew that his crew was priority, and it was something he would have to adjust to. Still, he knew that he would continue to do his own thing, and if he found that he never had time, then well he would have to do some changes with his crew. He was waiting for the day that they were going to leave this island, but it wasn’t just that he was also waiting for a Gallery event to happen as well. There was a lot of things he needed to do on this island, but now he felt like he had a time limit on the things he had to do. The day was good as it usually was in Jaya, and he figured that this time he would take the time to get stronger. There was a reason for this, and one was that he didn’t have anything to do today. Still, the main reason was that he didn’t want to be weak for the people that would rely on him. There was no way he was going to allow that to happen. He was going to make sure that when push comes to shove that he would never be a bystander. Yuurei would never watch his friends get taken away from him while he hid in safety again. Now that he had joined Harley and Mashyuu he brought himself to the outskirts of Mock Town. When he had arrived at this island he had remembered seeing a forest not too far from the town, and it was where he was heading. It didn’t take him a long time to get there, and when he did he smiled as he was happy to get this day started. He placed his hands on his waist as he inhaled deeply with a smile on his face. That air soon exhaled out from his body as he took a step forward and entered the forest. 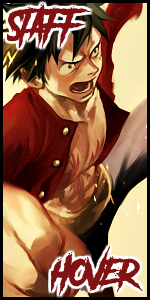 ”This is where I train until we head to Skypiea,” he said this to himself as he continued to walk into the forest. He had moved through the trees that were around as they had space between other trees. It gave him space to move, but his biggest concern was finding a place where he could train in the forest. He wanted to be alone, and make sure that nobody would be able to disturb him from what he wanted to do. He could smell the life in this place, and it was a pleasant smell, but that wasn’t all. He could hear the birds chirping throughout the forest, and he could just hear the movements of small animals around as well. These things had a nice, and calm feeling to it, and soon enough luck would hit Yuurei. He had moved through the forest enough to find an opening where there were no trees stack together. There were just a bunch of small branches on the ground, and green grass as well. He knew this was going to be his place of training, and he cracked his knuckles and his neck as he figured he would get ready with what he wanted to do. After he had cracked his bones, the young man had started stretching as he knew that he didn’t need to pull a muscle while training now. Yuurei was quick to drop on the ground and then he started to do push up. He made sure that his hands were planted properly and that his back stood straight as he started his work out. He was planning on doing a five sets of all that he did, and one hundred on each set. Yuurei’s movements were fluent and he felt good when he was doing his pushups. He knew things would get tough as he continued on. Yuurei had reached a hundred pushups after a few minutes had gone by. His face had shown that he was starting to sweat. The man had taken off his shirt, and the jacket he wore, which revealed his upper body. He wiped the sweat that was on his face, and walked over towards the nearest tree he could find. He looked around to make sure that there was nobody around, and he started to climb the tree until he had found a really strong, thick looking branch. He had left himself over the branch and then soon enough he was hanging from the branch with his legs being the only thing holding him up. He was now upside down, and he started doing sit-ups from the position he was in. This was quite difficult to do, but he figured it would be for the best, and also the best way for him to see quick results. His sit-ups were good at first, but they had indeed started getting hard for him to do as he got more than half way through the first set. Still, he knew there was no way he could give up and continued to push himself as he knew that this was just the first set. It took longer than he expected, but he was able to finish as his body had gone straight, but he held himself from falling to the ground with his legs. There was one thing he knew was stronger than his upper body and it was his legs, but probably by just a little. He stood hanging from the branch for a bit as he knew it was bad for him because of the blood rush, but he figured a few seconds wouldn’t hurt him. After a few seconds of resting he had gotten himself to sit on the branch as he sighed because he knew what was going to happen next. Yuurei had hung from the same branch again, but this time he was using his hands. He looked down to see the fall, and knew it wouldn’t be good for someone like him, while he was exhausted. Yuurei had decided it was time, and pulled himself up and then moved to the right, and then positioned himself back to the middle and then went down. This time he repeated his movement, but went to the left. He kept repeating the pattern though as it would be for the best and work him to the bone. The thief continued to do this as he felt like this was much better than what he had done just before. Still, his body would continue to stay in shape, and be stronger than it currently was. It took a few minutes for Yuurei to get this part of his training regimen done with, but when he was done he had lifted himself up from the branch, and stood on it for a few seconds. He could feel the burn that was coming from his upper body, and was trying to give himself a few seconds before he had to climb down the tree and do it all over again. ”This doesn’t seem like this is going to be fun now,” he noticed what he was doing to himself. He figured today wouldn’t be the day he did five sets, but today would be the day he found out how many sets he could do. Yuurei had continued on with his training in the forest now. He had moved towards the ground again as he decided that it was time to do the pushups that he was dreading to do. He got into the position and sighed and took in a lot of air. It was time and soon enough he started doing his pushups. He was going in a normal pace as he didn’t want to tire himself out. He kept moving through as he knew this would be what he needed even if he didn’t want to. His training through the second set had gone well, and he was able to move through the forest to do his stuff even though if someone was observing Yuurei they could see how tired he was getting. He had gone through the second set slower than the first set. It was only normal because he wasn’t use to doing this. Still, he knew that he couldn’t stop training because it would only mean that he had given up. There was one thing he wasn’t and it was a quitter. He would get lazy, but there was a reason why he was motivated. The pirate continued to move through his training as he figured that he would be able to only do three sets. Now he was on his third set, and you could see the sweat that was move down his body. He sighed as he cracked his neck. ”I should have brought Harley with me. At least then I would have been more motivated into not looking weak. Shoot I could imagine how she would look if she seen my body drenched in sweat,” he chuckled as he was talking to himself. Still, it was his third set, and he was dreading this moment. When he went to start the first thing of the set, he could feel the soreness that was resonating through his arms and his chest. This feeling only brought him to finish that set slower than usual. It was not a good feeling, but he couldn’t help, but wonder why he was struggling so much. Yuurei’s climb up to the branch was also slower than usual and it was because his arms were hardly working the way he wanted them to. When he was doing his crunches on the third set, he felt like he was going to give up at any second. His legs were even feeling the pain with his weight being slightly dead. Still, he forced himself to go through with it all, and even the last part of his set killed him, that when he finished doing it he just let go and fell to the ground. A loud thud could be heard when he hit the ground, and he could only lay on the floor sore. His body was limp, and he knew that the fall would also be felt the next day. ”Well I finished with that, but how do I get up and get home?” he questioned himself. The young man would soon force himself up, and sooner or later make it to where he stood. The thief had slept without eating, and he had gone through the next day lying on bed. He could feel the soreness throughout his body, but figured it was only right. He didn’t work out that day as he was giving his body time to recuperate before the next day. He used this day as a lazy day, which was fine to him. Yuurei did his best to get himself food, and of course the day had gone by without a hitch. When the next day after his resting, he was back in the forest, and he made sure that he would continue to do this and made sure that it would become a habit. The young man had a lot of growing to do, and he knew that with time he would become really great, if he continued on with what he was doing. Yuurei decided to continue to do this over and over again, and within two weeks of repeating this process he had noticed that his body had gotten use to the sets he was doing. With this knowledge he had decided that it was best for him to step it up a notch. Yuurei took the three sets, and soon made it four. Yuurei knew that doing this would keep him on his toes, and it sure did. The man was no longer dropping from the branch at the end of his training, and decided it was best to take it up a notch. He knew that he wouldn’t be able to use this forest for as long as he wanted as well. They weren’t going to stay here forever, so he would have to use the ship they obtain to his advantage. When he was done with the fourth set of everything he could only climb down the tree, and sit against it. Yuurei looked up to the sky, and smiled as he knew things would get better, and he could only wonder what kind of adventures he would have with Mashyuu and the rest of them. ”One thing I can’t do is slack off. I have to know that there is always someone stronger than me,” he said to himself as he was going to keep that in mind at all times.